New film projects by Hüseyin Karabey, Zekeriya Aydoğan, and Sinem Sakaoğlu were among the award winners at the 10th edition of Meetings on the Bridge (April 15-16) during the Istanbul Film Festival. Four awards were given to projects presented as part of this year’s Film Project Development Workshop and were decided by an international jury comprising of such leading industry figures as Meinolf Zurhorst (ZDF), Sergio Garcia De Leaniz (Eurimages), Gabrielle Dumon (Le Bureau Films), Giovanni Robbiano (Mediterranean Film Institute/MFI) and Khalil Benkirane (Doha Film Institute). The $ 10,000 Meetings On The Bridge Award went to German-born director Tarik Aktaş’ Dead Horse Nebula - about a sequence of incidents taking place around a small village -, while the € 10,000 CNC Award was given to The Death of Father and Son by Zekeriya Aydoğan, a period drama set in the Kurdish society. Aydoğan’s latest film, the documentary Naked about midwifery and bathing the deceased, was originally going to premiere at this year’s festival in the National Documentary Competition before the censorship controversy prompted the Turkish filmmakers to withdraw their films from the festival programme. In addition, the Melodika Sound Postproduction Award was presented to Mahmut Fazil Coşkun for his third feature project, The Announcement, about the meeting and clashing of two different peoples, civilians and soldiers, during a failed military coup in Istanbul in the early 1960s. The subject has never been taken up in a Turkish film before and will be co-scripted by Ercan Kesal whose previous credits include Three Monkeys and Once Upon A Time In Anatolia. Coskun’s previous feature was the award-winning 2013 film Yozgat Blues. Sinem Sakaoğlu received the MFI Script and Development Workshop Award for her first live-action feature project The Crooked House which is based on Burcu Aktaş’ book of the same name. Hamburg-based Sakaoğlu is previously known for her work in animation such as The Three Robbers and Sandman and will also have animated characters in this children’s film. The Work in Progress Workshop awards were cancelled after the producers of three of the selected films decided to withdraw their projects from presentation. The remaining two films - I Am Not Apache and Blue Bicycle - were viewed by Karlovy Vary’s Karel Och, sales agent Rickard Olsson (Picture Tree International) and Dutch producer Stienette Bosklopper (Circle Films) who gave advice to the directors and producers in one-to-one meetings. The Turkish-German Co-Production Development Fund celebrated its fifth anniversary of operations by announcing its latest tranche of incentives for co-productions between the two countries. Alexander Ris’ Neue Mediopolis Filmproduktion - who is in Cannes next month with Radu Muntean’s One Level Down - and his Turkish partners received a total of € 50,000 support for two projects: Mehmet Can Mertoğlu’s Album and Hüseyin Karabey’s Hamarat Apartment, while Berlin/Cologne-based Titus Kreyenberg of Unafilm and his Turkish co-producers picked up a total € 30,000 for Nefin Dinç’s The Memoirs of Antoine Köpe and M. Cem Öztüfekçi’s Idle Moments. Other awards went to Melisa Önel’s 16, Çayan Demirel’s Songs of Fraternity and Erol Mintaş’ Crows. The significance of the Co-Production Development Fund for co-production between the two countries cannot be underestimated: no less than 29 projects have been supported since its establishment in early 2011. Eight projects presented at past editions of Meetings on the Bridge and now in postproduction were supported by the Fund - from Golden Bear-winner Semih Kaplanoglu’s new film Grain and Senem Tüzen’s Motherland, which was also pitched at the Connecting Cottbus market, to Dervis Zaim’s Kitmir and Zeki Demirkubuz’s Ember. It was therefore not surprising that there was a large contingent of German producers and funders attending the Meetings such as Unafilm’s Titus Kreyenberg - who was also with Greek filmmaker Syllas Tzoumerkas (A Blast) in the festival programme - and Hamburg-based DETAiLFILM’s Henning Kamm and Fabian Gasmia whose second collaboration with Kutlug Ataman (The Lamb), Hilal, Feza and Other Planets, has been selected for presentation at the Cinéfondation’s L’Atelier. 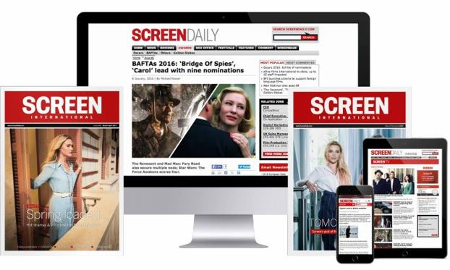 In Istanbul, Gasmia revealed to Screen Daily that DETAiLFILM has recently joined forces with the Danish Zentropa production empire to launch Zentropa Hamburg. One of the Meetings’ first-timers was Düsseldorf-based producer Frank Henschke of Vistamar Filmproduktion who served as a German co-producer along with Anna Uhland’s Uhland Film on Deniz Gamze Ergüren’s Mustang. The BAM Film production was also co-produced by France’s CG Cinema and has Kinology handling world sales, with Ad Vitam already in place for French distribbution. The film received backing from the German-French mini-traité, Film- und Medienstiftung NRW, Eurimages, the Doha Film Institute, among others. The decision by Turkish producers to show solidarity with the makers of the Kurdish documentary North (Bakur) by pulling their films from the festival programme left many international festival programmers and sales agents feeling at a loss what to do with their time when they had specifically come to Istanbul to see the latest crop of Turkish production. The Turkish films were also not available in the festival’s videotheque and the alternative route of accessing them via the festival partner Festivalscope depended on the whims of the Internet signal in the festival’s main hotel, the Marti Hotel. However, the festival’s guests should have a possibility of seeing some - or all - of the withdrawn Turkish films from the comfort of their own homes or offices via Festivalscope for a limited period after the festival .